Kirkwood Roofing is a residential and commercial contractor providing expert and affordable gutter replacement services in the greater Kirkwood MO area. Our mission is to ensure that you receive quality workmanship, and hands-on customer service - even after your repair or installation is complete. We are committed to honest inspections and craftsmanship, providing you great results from our dedicated team of professionals. When wear-and-tear, weather, and moisture attacks your roof, we're your first line of defense to not only preventing further damage - but also for restoring your roof or gutters to like-new. As expert roof and gutter technicians in St. Louis, we've learned that it takes the best materials, multiple color options, and designs to get the right look for your home or business. When conducting a gutter replacement service, we sit-down with you and account for every detail. This helps ensure that your project exceeds your expectations and adds lasting value to your building. We offer warranties on many projects. That means that we can only use reliable materials from the best manufacturers in the industry. If your roof has an algae problem, our experts can also offer a solution. Using our proven approach, we can eliminate algae by applying a water-based algae retardant that also seal the shingles, keeping your roof stain-free. Our process gently washes your shingles, opposed to a harsh, damaging power wash. There is no power washing involved with our roof preservation. It is a water-based solution that's sprayed on your roof at low pressures. 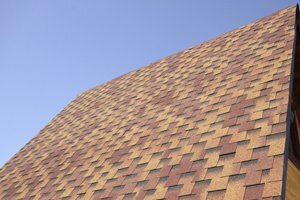 Once treated, you'll be astounded at how your roof's vibrant appearance. Don't let algae destroy your roof before it's too late! Whether your roof is old, compromised by moisture, or damage by winds and falling trees - when it's time to replace it, you want the best materials, craftsmanship, and guarantees. We provide all of those - and more. We'll care for your roof and gutters throughout each phase. Choose the experts team that can keep you covered. Kirkwood Roofing makes your gutter replacement process as hassle-free as possible. We begin by inspecting your roof and providing a free estimate. If your project is covered by your policy, we'll work with your insurance professional to ensure that you will receive the results that you deserve. We'll also recommend the right materials from the brands we trust and lifetime manufacturer's warranties. We also guarantee our own craftsmanship for many gutter replacement projects. Because we treat your as our neighbor, our crew protects your landscaping, decks, driveways and hardscapes during your gutter replacement service. They'll work efficiently to complete your gutter replacement as quickly as possible. Once the work is complete, our technicians will clean-up and leave the site debris-free. Once your project is completed, we'll walk-through to make sure you're questions are answered and that you're satisfied. Sagging roof decks & rafters or indicates of poor ventilation. Leaking in the attic (dark spots in the wood, especially around vents, chimneys, and other risk areas in the roof). Hail damage on the roof system. Hail severely harms most homes. Uplifted shingles (usually broken or missing tabs) - especially following a storm or it could be shingles that are deteriorating. We offer a low-cost plan to inspect your home every two years. 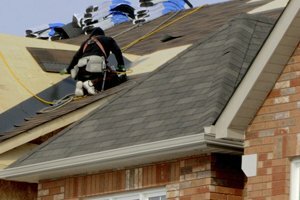 We'll look for any issues with your shingles, flashings, rubber components on pipe jacks, sealant strips, chimney caps and brick mortar, skylights and gutters. Because we're heard stories about our competitors making recommendations that were not necessary, only offer maintenance if it's truly needed. Remember, the more angle changes on your roof, the greater the possibility of leaks. If your roof is architecturally "cut up," we highly recommend a maintenance plan. We are a locally-owned and operated roofing company with experienced technicians. We treat your property with the care and attention you deserve. As a full-service roofing contractor, we are licensed and insured for your protection. At Kirkwood Roofing, we put the customer first every time. Our services always start with a free roofing estimate. Call 314-909-8888 today to receive your free gutter replacement estimate! Use our StyleSelect roof color generator to picture your home with a new roof! Always Committed to Bettering Our Craft. We appreciate each opportunity to provide our services to our customers. Did we go above and beyond on your roofing project? Leave us a review on Google+! The contents of this webpage are Copyright © 2019 Kirkwood Roofing. All Rights Reserved.